Last night we took to the stars in a co-op sci-fi game called Pulsar: Lost Colony. 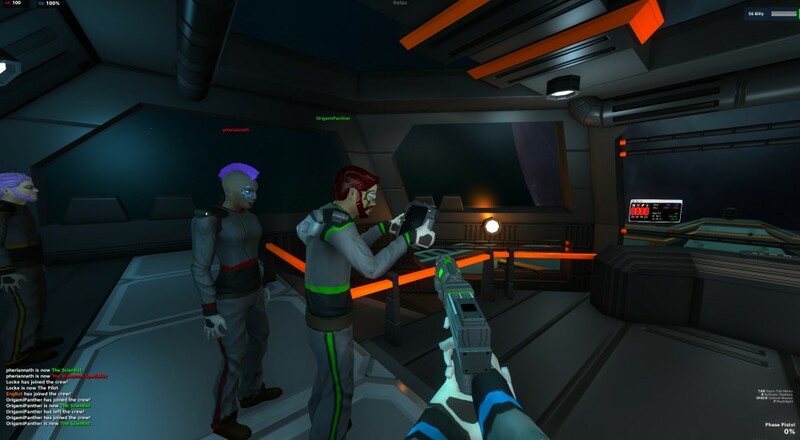 With a crew of five at your disposal it's your job to explore the galaxy, repel invaders, and destroy hostile ships. What makes this game unique is that every player has a job to run the ship. The Captain organizes the crew, sets the goals, and upgrades the ship. The science officer makes sure the shields are properly tuned to defend and fights off incoming computer viruses. The engineer works to balance the ship's power while the pilot steers and maneuvers the vessel. Finally, the weapons specialist makes sure your crew is properly defended. Everyone must work together to survive. Pulsar is a co-op version of FTL. Check out two clips from our stream last night the shows some of the highlights of this game and gives an overview on just what you can do. Needless to say, it's a ton of fun. Page created in 0.9458 seconds.